A sleek pistol featuring a chrome plated finish. 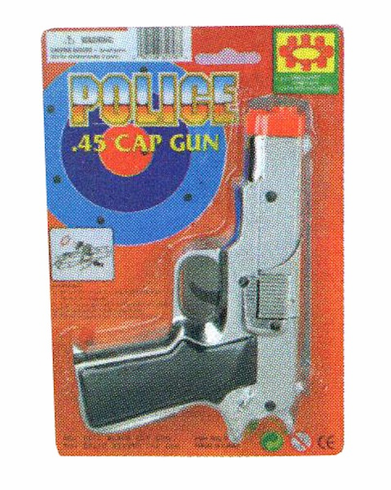 This cap gun fires eight ring caps. Police .45 pistol design. Caps sold separately.